By now, most of us know someone who has benefited from the wide range of protein therapeutics produced by the biopharmaceutical industry; someone who had a heart attack or stroke and received t-PA (tissue plasminogen activator), someone with cancer who received Herceptin® or Avastin®, or perhaps someone with rheumatoid arthritis who received one of the many TNF inhibitors like Enbrel®, Humira®, or Remicade®. As amazing as these revolutionary therapeutics are, a whole range of even more incredible, non-protein therapeutics have recently entered or will enter the market in the next decade. Many of these first-in-class therapies will address previously untreatable conditions or undruggable targets. These therapies include peptides, nucleic acids, carbohydrates, vaccines, and cell-based therapies. In 2017, the US FDA approved two chimeric antigen receptor (CAR) T-cell therapies, the first therapies of this kind to enter the market, to treat two forms of cancer, pediatric lymphoblastic leukemia and diffuse large B-cell lymphoma in adults. CAR T-cells are one type of immunotherapy in which a patient’s own immune system is harnessed to fight cancer. In CAR T-cell therapy, a patient’s T-cells are removed from the body, modified to recognize an antigen on the surface of a cancer cell and reintroduced into the patient. CAR T-cells are part of a broader class of cancer immunotherapies that include immunogenic peptides, nucleic acid vaccines, oncolytic viruses, and dendritic cell therapies. In all cases, the objective is to convince the patient’s immune system to recognize and destroy the tumor. Nucleic acid therapies as a group have made dramatic strides in the last several years, finally bringing to fruition 40 years of research and development, with promises of antisense oligonucleotides to inhibit aberrant biological processes and gene therapy to cure genetic defects. In 2016, two first-in-class antisense RNA drugs were approved, Sarepta Therapeutics’ Exondys 51® (eteplirsen) to treat Duchenne muscular dystrophy and Biogen/Ionis’s Spinraza® (nusinersen) to treat spinal muscular atrophy, both rare genetic disorders. Critical modifications to natural nucleic acids including changes to the phosphate backbone, the ribose sugar, and the nucleotides have improved stability, increased trafficking by reducing the net charge, and significantly increased the affinity of oligonucleotides for their targets, increasing the utility of these molecules. Gene therapy remains the Holy Grail for treatment of genetic disorders. Conceptually, gene therapy is straightforward; deliver DNA or RNA to the appropriate tissue to replace the missing or defective protein with adequate persistence to have a therapeutic effect. But, as always, the devil is in the details. The greatest challenge is delivery, followed by cost-effective production. Early gene therapy trials were hindered by the death of a patient in 1999 in response to high-dose adenovirus administration and the development of leukemias in X-linked severe combined immunodeficiency patients caused by insertional mutagenesis. The first approved gene therapy product was withdrawn from the market in 2017, as at ~$1 million/treatment, it was too expensive for insurers or national health services to cover. 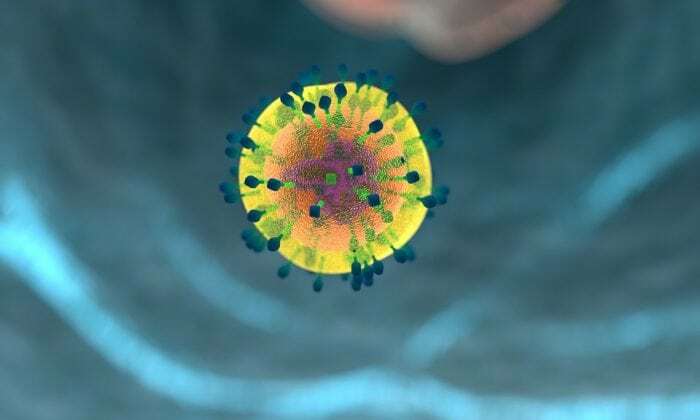 However, a recent therapy, GlaxoSmithKline’s Strimvelis (now marketed by Orchard Therapeutics), approved in Europe in May 2016, for severe combined immunodeficiency due to adenosine deaminase deficiency, is expected to be commercially successful. While still expensive at $665,000 a treatment, it requires a one-time treatment where patients’ stem cells are transduced, ex vivo, with a gamma retrovirus containing the human adenosine deaminase gene, conferring full immune reconstitution. To date, all 18 patients in the clinical trials remain healthy, including one treated 17 years earlier. In addition to treating and curing cancer, regenerative medicine, generally comprised of a differentiated or specialized cell type combined with some sort of scaffold, holds the other key to increasing our longevity and quality of life as our population ages. Four tissue products have been approved for regenerative medicine applications, LAVIV® (azficel-T), an autologous cellular product indicated for improvement of the appearance of moderate to severe nasolabial fold wrinkles in adults; Carticel® (autologous cultured chondrocytes) indicated for the repair of symptomatic cartilage defects of the femoral condyle (i.e., the knee); GINTUIT® (allogeneic cultured keratinocytes and fibroblasts in bovine collagen) indicated for the treatment of mucogingival conditions (i.e., gum disease) in adults, and MACI® (autologous cultured chondrocytes on porcine collagen membrane) for knee cartilage repair. While the cardiovascular and neurodegenerative diseases that affect aging populations do not yet have tissue engineered solutions, they are certainly active areas for research and clinical studies. These findings are described in the article entitled Non-protein biologic therapeutics, recently published in the journal Current Opinion in Biotechnology. This work was conducted by Susan T Sharfstein from the SUNY Polytechnic Institute. Susan T Sharfstein is a professor of nanobioscience at SUNY Polytechnic University. The primary focus of the research in the Sharfstein laboratory is on understanding the role of culture conditions and cell physiology on the use of living systems for industrially relevant processes.